PLEASE NOTE THIS APARTMENT HAS NOW BEEN REFURBISHED... MORE PICTURES COMING SOON. 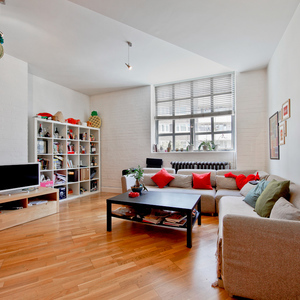 A classic two bedroom warehouse conversion with just under 1,000 sq ft of lateral space and a balcony. Situated on the quiet Tabernacle Street on the first floor of a converted Victorian warehouse this loft apartment has exposed brick walls and high ceilings throughout, lots of large light bearing windows, loading doors onto a balcony, newly fitted open plan kitchen, main three piece bathroom and two double bedrooms (one with walk in wardrobe and en-suite shower room). With Old Street tube less than 2 minutes around the corner and the City down the road this section of Shoreditch is fast becoming one of the more sought after locations as it's tucked away from the main hustle and bustle of bars, restaurants and night life but a short walk away. 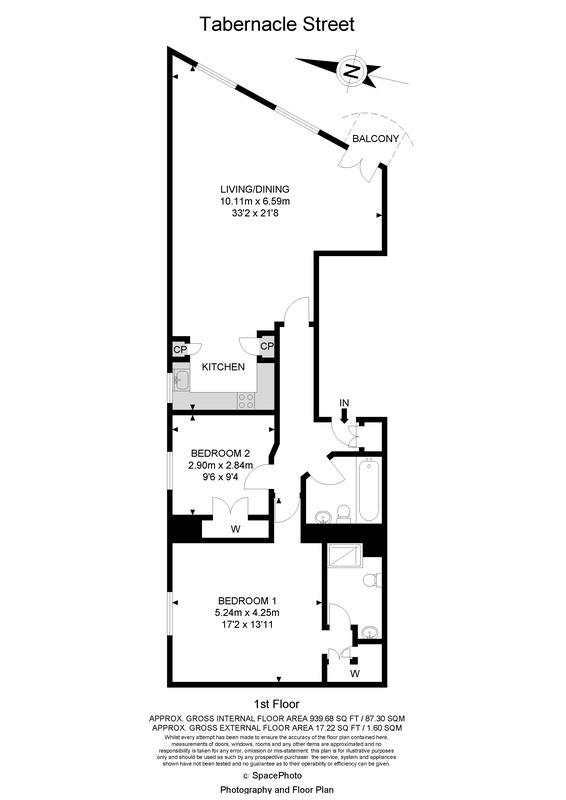 Available now and offered unfurnished.